In Montreal, the largest city in Quebec, the more eccentric, the better. Montreal thrives on its fresh creative scene, and it’s easy to see why people come here from all over the world. 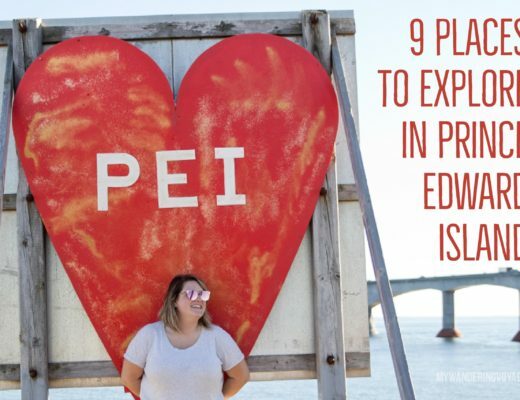 The city sits on an island surrounded by the St. Lawrence and is still an economic centre in Canada. Celebrating its 375th birthday, Montreal has much to boast about, from its diverse culture to its colourful art scene. 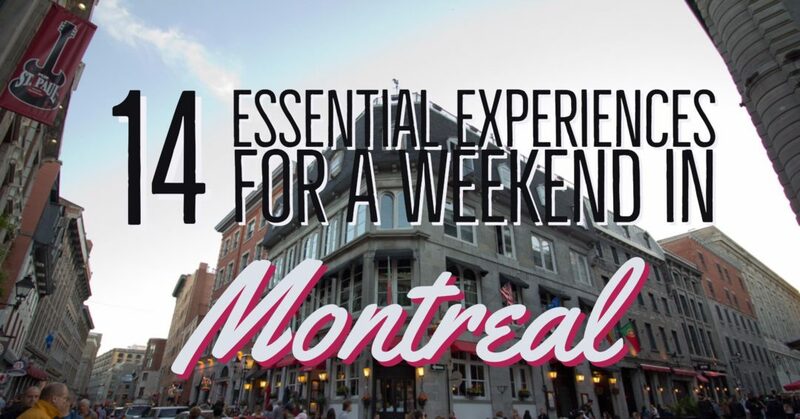 Like any big city, there is so much to see and do, but for those getting away for the weekend, or for those who are there for the first time, here are 14 essential experiences to have in Montreal. 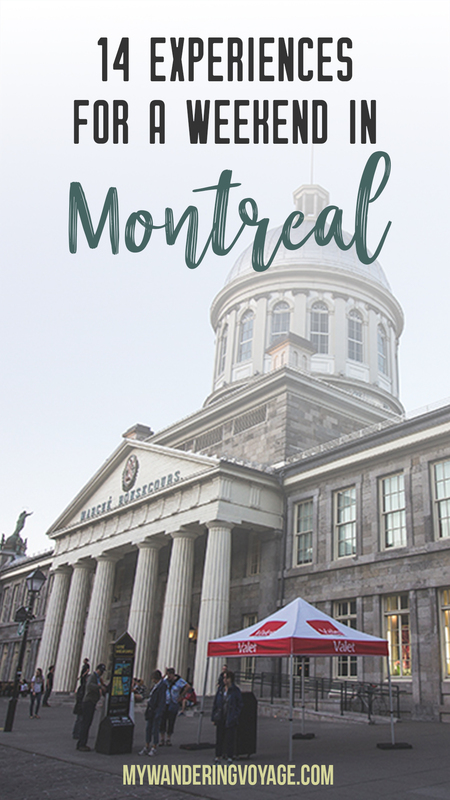 The first stop for any visitor to Montreal has to be Old Montreal. This part of the city melds old and new in a way that in reminiscent of European cities. 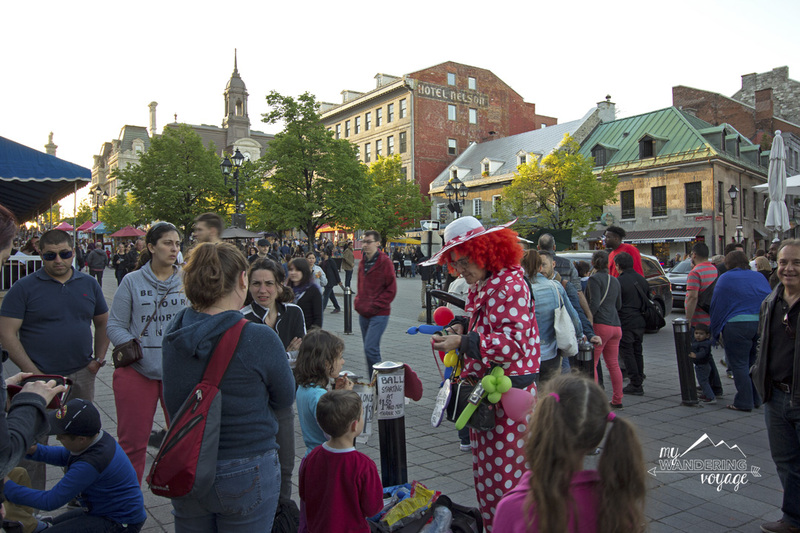 Place Jacques-Cartier, a large cobblestone street square, is the energetic spot in Old Montreal. Shops and restaurants line the square where street performers are scattered; it’s easily a place to spend your afternoon. While you’re there check out Mlle. Catherine, an ice cream shop and café right beside Ben and Jerry’s. It has the BEST soft serve ice cream I have ever had in my life. 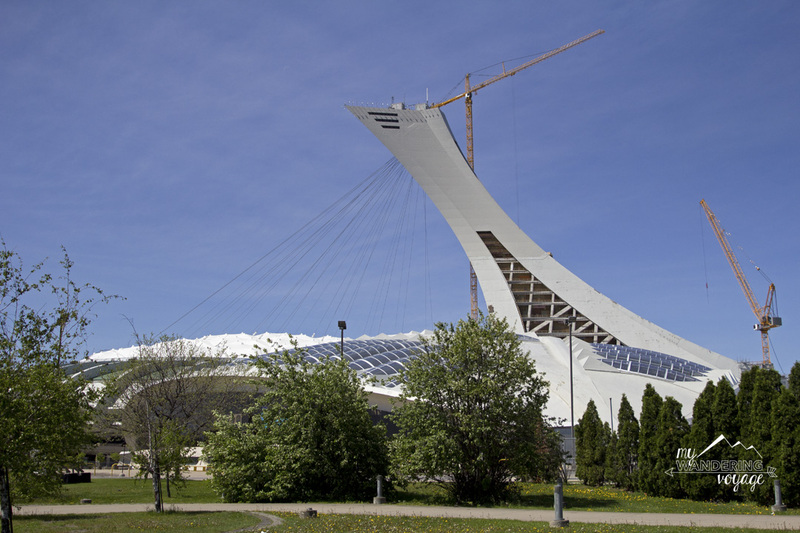 The Olympic Stadium and surrounding park is a must for any first-time visitor of Montreal. Each portion of the park deserves its own explanation because they each offer such unique experiences. The Olympic Stadium is a large, round white structure that is iconic to the modern landscape of the city. It is a multi-use stadium and is used for a variety of entertainment and sports events. Built for the 1976 summer Olympic games, the cost of the stadium was astronomical and took nearly 30 years to pay off. 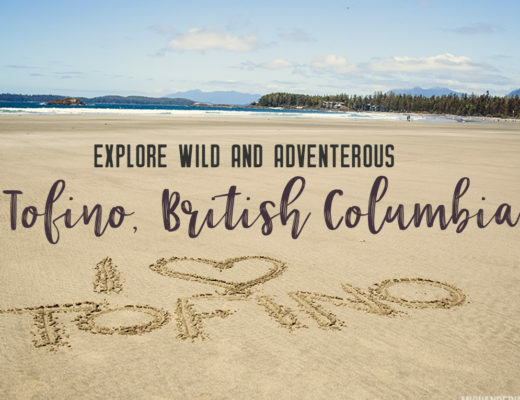 Located directly beside the Olympic Stadium, the Biodome is home to 5 main ecosystems of the Americas – tropical rainforest, Laurentian forest, Gulf of the St. Lawrence, Labrador coast and the sub-Antarctic islands. Here you can see everything from penguins to lynx to golden lion tamarins. Over 200 species are living in the Biodome. What looks like two giant metal cans, actually is host to the coolest exhibit at the Olympic Stadium, the Planetarium. 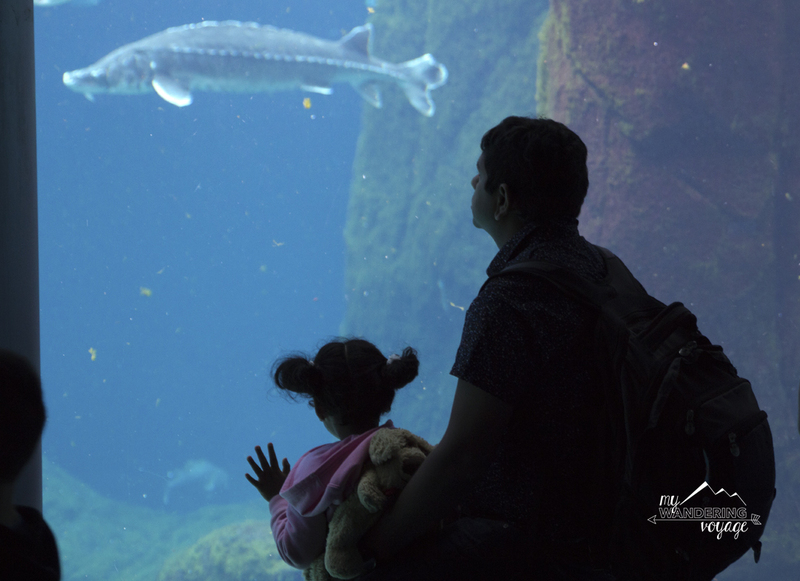 You can save on admission fees by purchasing all three places: the biodome, insectarium/ botanical gardens and planetarium. You’re going to want to see all three of them anyway. The planetarium has set times for purchase. You do not want to miss these shows. In one room, you lay under the domed screen on beanbag chairs, in another you experience the night sky and Mars in large Imax chairs under another domed screen. It was astounding to see. The last section in the Olympic Park is the Insectarium and Botanical Gardens. Covering over 75 hectares, the Botanical Gardens are host to countless varieties of plants separated into numerous areas. 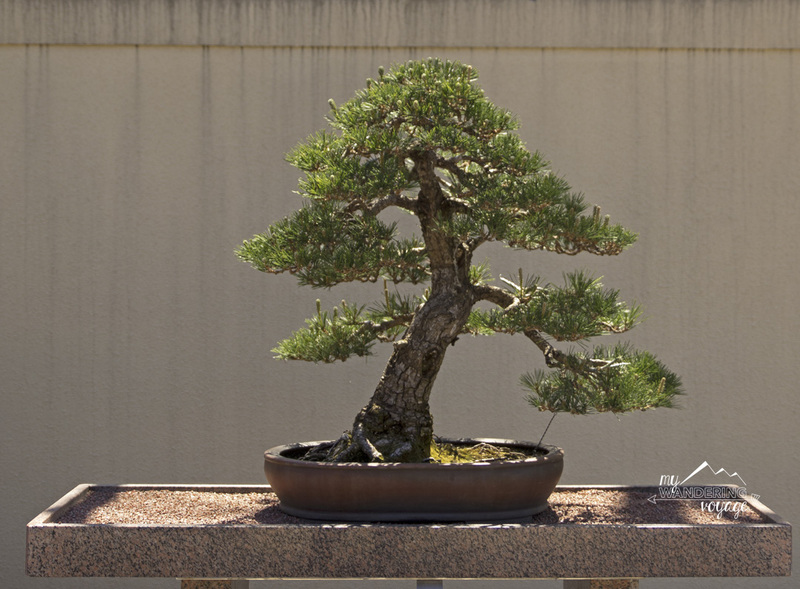 Check out the toxic plants, the First Nations Garden, Japanese Garden or the Rose Garden. You can get lost in the beauty of this botanical oasis in the heart of Montreal. Check out the springtime bloom or come back in fall to see the changing of the colours. Get bugged out in the Insectarium where you can see both dead and alive bugs, so that you can thank your lucky stars that you are in Canada where bugs the size of your face won’t try to eat you. You’re welcome. Located on the Île Sainte-Hélène and only a short metro ride away is Montreal’s Biodome. 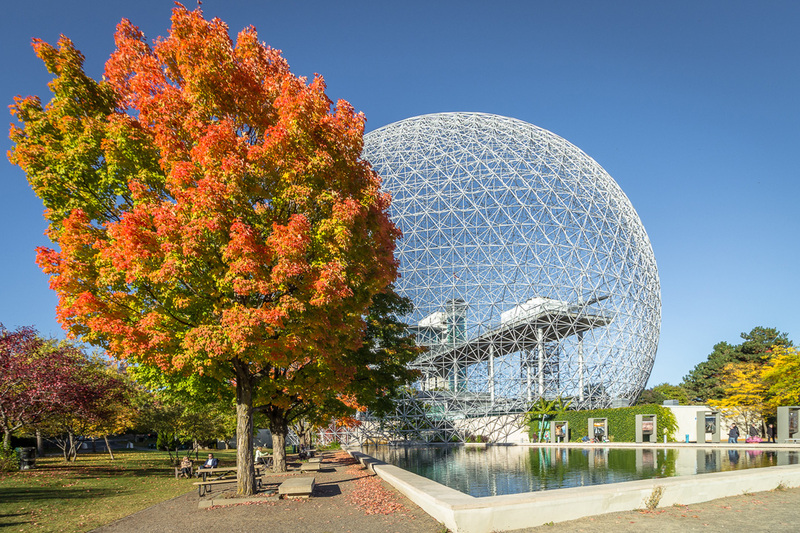 This geodesic dome was built for the 1967 Montreal Expo and now is home to an environmental museum. While you’re on the island, check out the vast Parc Jean-Drapeau. See if you can spot the wacky Habitat 67 across the water. 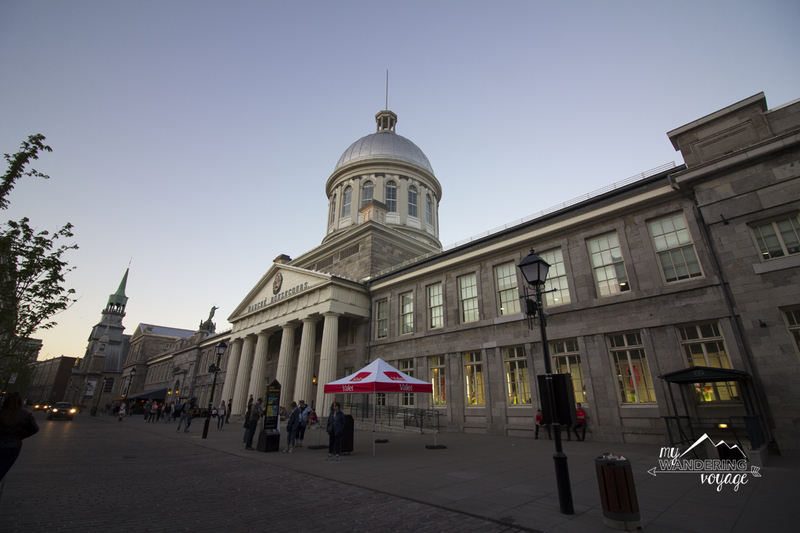 For over 100 years, Marché Bonsecours was the main public market in Montreal. Now there are numerous markets scattered around the city. Still, this National Historic Site is an iconic Montreal building that is now used for indoor boutiques and offices. It’s amazing to think that the building shut down and was considered for demolition. Looking at it now, I’m glad it didn’t fall victim to modernization. Get your shopping on at a local public market. Known for its butcher shops and garden stalls, the Atwater Market near Lachine Canal is the place to go to enjoy a Saturday morning. The Atwater Market is open year-round where you can stuff your face with all the delicious eats sold by vendors. 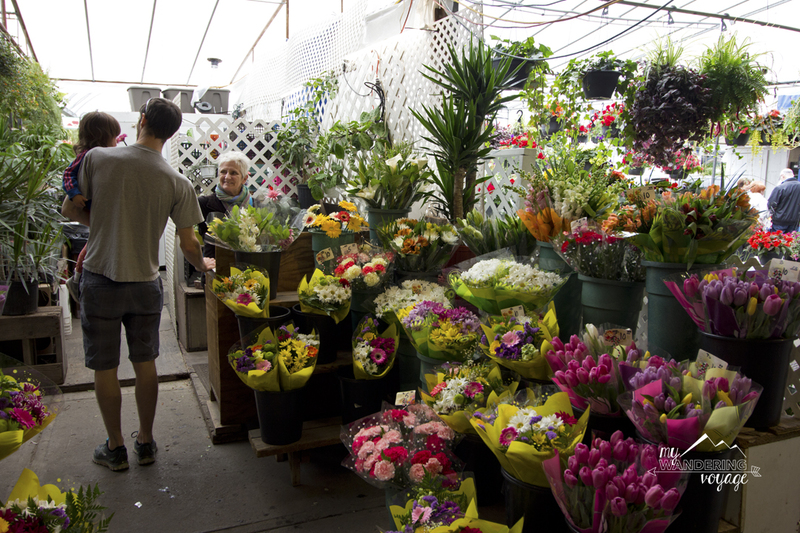 If you want to go for history, then visit Jean-Talon Market, the oldest public market in Montreal. Known for its fruit and vegetable stands, the Market is also one of the largest in North America. If you’re up for it, take a hike up Mont Royal to take in unparalleled views of the city. The 494-acre park is the largest in Montreal and offers many activities, including hiking and biking in the summer and snowshoeing and tobogganing in the winter. 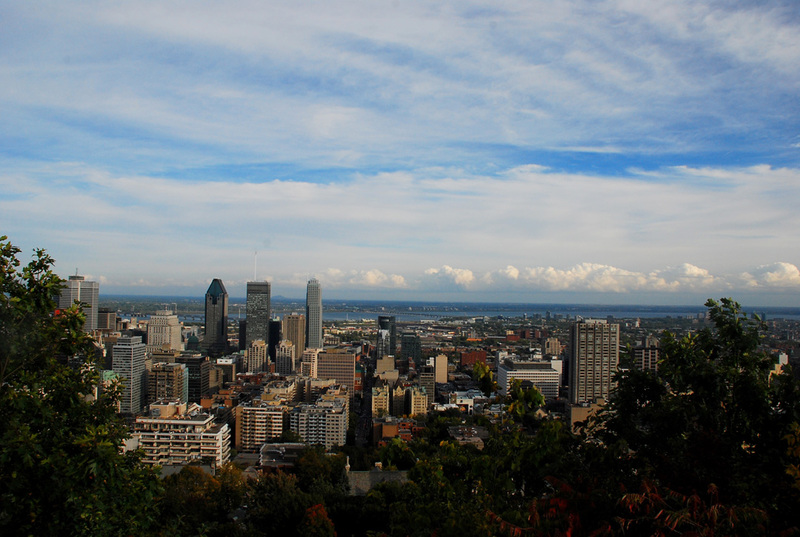 The iconic view of Montreal can be seen from the observation point at the Chalet du Mont Royal. In the summer, locals with hand drums come out in droves every Sunday afternoon for a “Tam-Tam Jam.” Dozens of musicians play and encourage visitors to join in. No stop in Montreal would be complete without experience Montreal art. For visitors who come at any time of the year, the Montreal Museum of Fine Art is a hub of creative and cultural exhibitions. Here you can see Quebec and Canadian art from the 1700s to the 1970s. There are numerous exhibits to take you into another world. For those of you visiting Montreal in 2017, the city is celebrating it’s 375th anniversary. Hundreds of events will take place during the summer months. 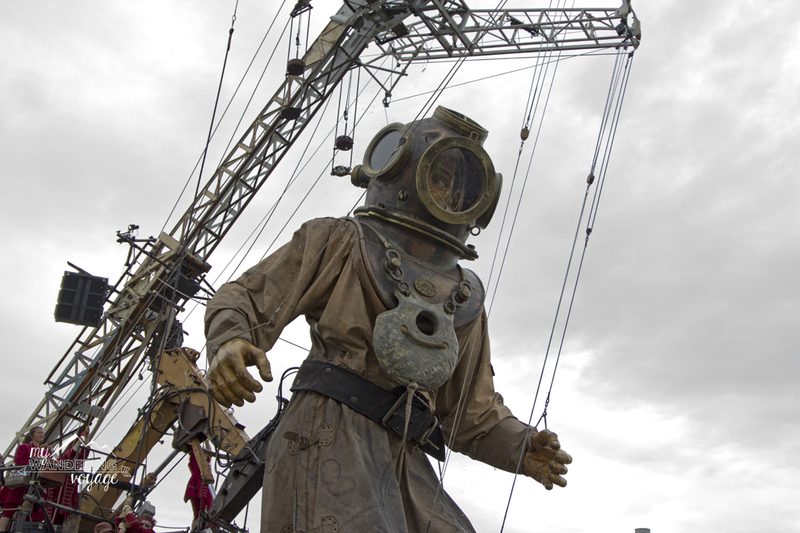 We were lucky enough to catch the wonderful – and weird – giants that paraded through Montreal. 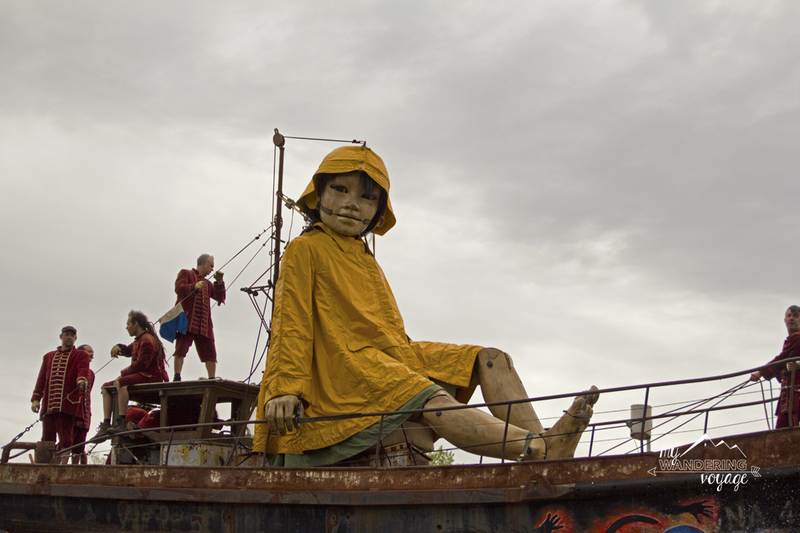 An interactive art exhibit created by Royal de Luxe in France, these 5-story tall giant marionettes walked their way through Montreal in May. A deep-sea diver, a little girl giant and her pooch strolled along near the CBC Radio-Canada building. It was a marvellous sight to behold. 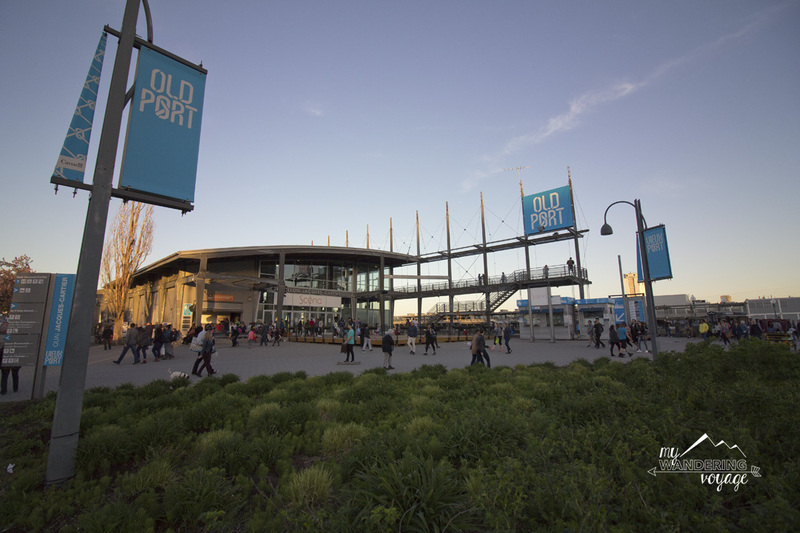 Montreal’s Old Port is an excellent place to experience the evening. As the sun sets and the colours become vibrant, take in the views of the St. Lawrence. Here you can walk up and down the 2.5km park or sit and enjoy an ice cream on a hot summer’s day. Maybe even hop on a boat for a tour of the city’s edge by night. 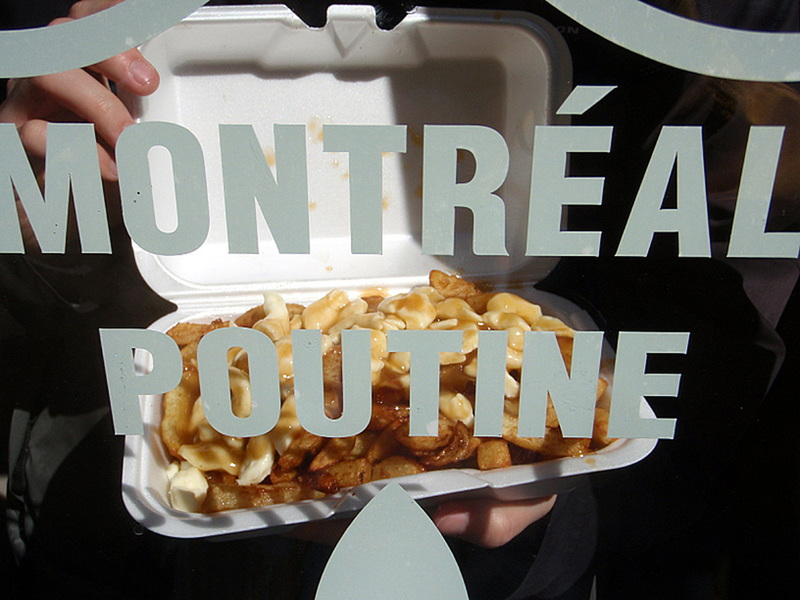 If there is one dish you have to try while visiting Montreal, it’s poutine. There’s something about this heart-stopping comfort food dish that will never cease to amazing me. Could it be the traditional cheese curds and gravy? Or maybe is it the many varieties of poutine that exists out there? Either way, try it, love it, then regret it later. Montreal is host to La Poutine Week each February, so if you want to try all the variations of poutine you can think of all in one place, why not visit the city for some yummy, delicious comfort food. 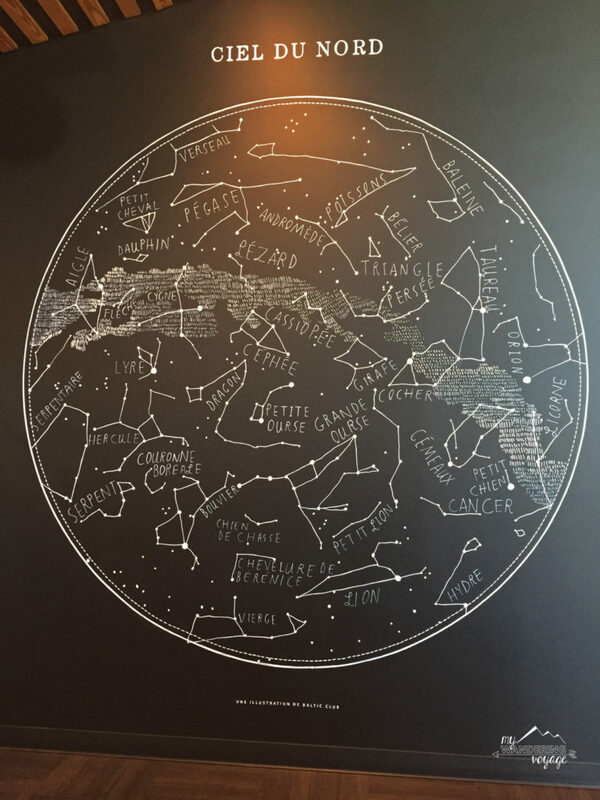 Montreal is home to many craft breweries and cafes, so while visiting the city, try a local brew – whether it be coffee of beer. 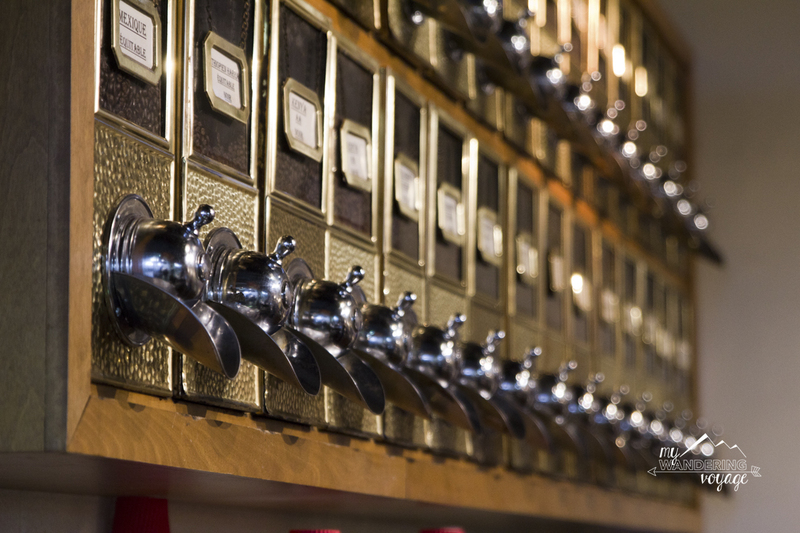 For the coffee lovers, one is truly only steps away from a unique and beautiful café. Using google maps, I’m sure you will be able to pull up a list of places to choose from. 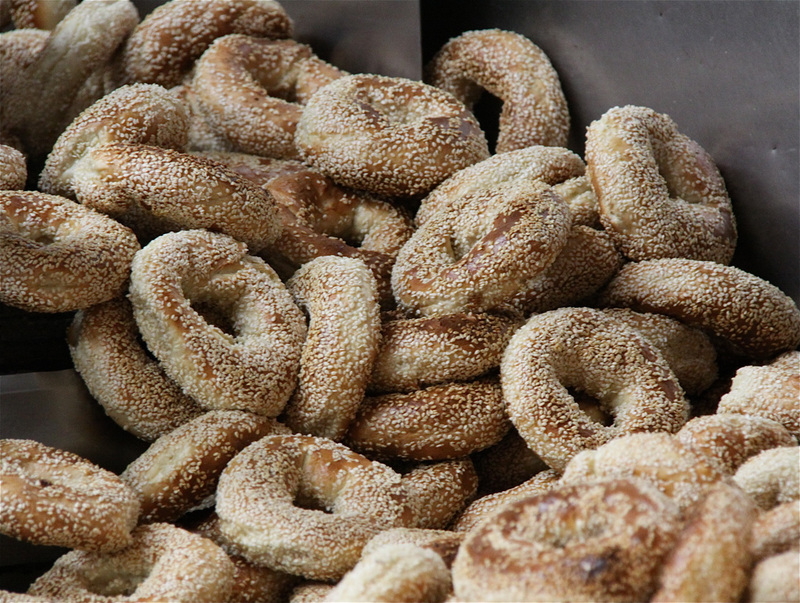 Before you leave Montreal, take a baker’s dozen of bagels with you – one extra for the ride home. These rich and sweetly baked delicacies and unparalleled by any other city. The difference between a Montreal-style bagel and any other city has to do with how it is cooked. The dough is cooked in honey-sweetened water before being baked in a wood-fired oven. The latter part is the most important. Have you been to Montreal? If so, what was your favourite destination? If not what would you like to see first?